Manufacturer of a wide range of products which include designer iron door handles, iron omlet lever handle, folding iron door fittings, black color door knob, designer door fittings and iron hand forge handles. As one of the prominent manufacturers we also offer our clients a designer and intricate array of Designer Iron Door Handles. We use unmatched quality brass to manufacture these Designer New Handles which make these Designer New Handles highly durable. Our products find their wide application in various residential and commercial sectors. Sleek body, golden finish and appealing look of these Designer New Handles makes it incredible. With the help of our expert team members we offer our clients a wide array of Iron Omlet lever Handles. 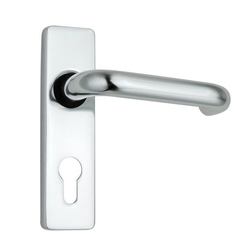 These Iron Omlet lever Handles offer very easy fitting and enhances the appealing look of the doors. 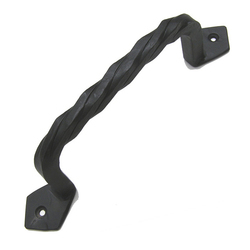 Our Iron Omlet lever Handles are sturdy in construction, perfect in finish and accurate in dimensions. These are ideal to install in the doors of kitchen, living rooms, bath rooms and allied doors. Customers can avail from us a wide array of Folding Iron Door Fittings which are manufactured from premium quality metals. Our Folding Iron Door Fittings are widely recommended for its dimensional accuracy, rust free nature, easy maintenance, long service life and exotic designs. Folding Iron Door Fittings offered by us are the result of hard labor and precisely engineering made by our expert craftsmen. 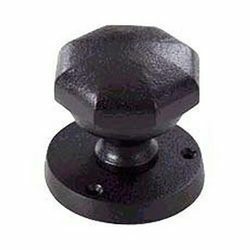 Owing to the presence of our expert and experienced team members we are able to offer our clients a quality array of Black Color Door Knobs. These Black Color Door Knobs are manufactured as per the international industry standards and can easily fit with any type of door. Classy appearance of our Black Color Door Knobs is highly appreciated. With the availability in vibrant patterns, designs and finish these Black Color Door Knobs are easily accessible in market. We are one of the prominent manufacturers and suppliers of a wide array of Designer Door Fittings. Fabricated form premium grade metals these Designer Door Fittings are highly resistant from rust and corrosion and offer long service life. These Designer Door Fittings offer high level of safety and security to yours house as these are sturdy in construction and high durability. Apart from this we also offer customized solution as per the choices and specifications of our clients. 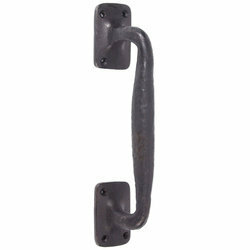 Designer Handles offered by us are manufactured from premium grade metals. 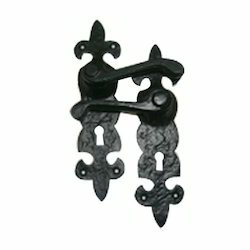 These Designer Handles are greatly admired for its artistic look and intricate designs. 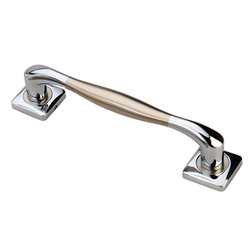 These Designer Handles are the perfect blend of durability, reliability and outstanding look. Our Designer Handles are widely acclaimed for its outstanding look, perfect finish, optimum performance and long lasting service. 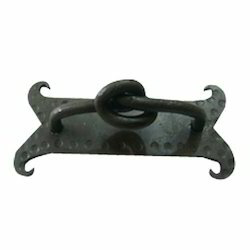 Looking for Iron Door Fittings ?